It doesn’t take long when listening to this album to conjure up images of the ‘Man in Black’ and it’s certainly more circa Rick Rubin than Sam Phillips. In this current climate of a wealth of Johnny Cash imitators and impersonators, to produce a sound so similar to that of one of America’s music icons does risk attracting a little contempt but it would be unfair just to class this record as another tribute act. Firstly, all but one of the recordings are from the pen of singer-songwriter CS Nielsen, and rather than fall back on another lazy cover of ‘Folsom Prison Blues’, the only non-original track covered is an old Scottish Borders folk song which gives the album an element of variety just as it develops a little one-paced feel about it. 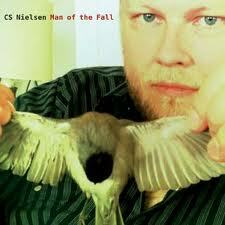 You sense the sound and direction of this album within the opening track when Nielsen references Luke the Drifter, a recording pseudonym of Hank Williams, and that eternal country music road known as the Lost Highway. A few killing, road and train songs later you get the drift of the journey Nielsen wants to take you on and this man, whose initials refer to his nickname of Country Stig, is proof that good quality country music can come from the somewhat surprising source of Denmark. The authenticity of Nielsen’s vocals coupled with the usual array of string-based instruments gives this album an element of credibility that matches up well with similar artists from the traditional sources of country music. ‘Border Blues’, a fugitive murder song, opens the album and sets the pace for the first half a dozen tracks which have a dark melancholic feel to them. The title track ‘Man of the Fall’ seeks to personify the post summer season without celebrating its vibrant colour while the self-explanatory ‘Road Song’ focuses on the futility rather than the freedom of perpetual travel. These and several other songs showcase Nielsen’s artistic creativity to craft a song with thoughtful and incisive lyrics while choosing apt moments to make iconic roots music references such as Johnson’s #61 and #49 and Van Zandt’s ‘Pancho and Lefty’. However just as a little mid-album monotony seeps in, and this recording surpasses the hour mark, the traditional folk rendition of ‘Black Jack Davy’ and piano accompaniment to ‘A Stones Throw Away’, freshens up the sound. Soon after, the melancholy returns culminating in the final track ‘Nothin’ But’ containing lines such as ‘The party is over and it’s time to pay the cost’, ‘scar of experience’ and ‘massacre of innocence’. Just as there is a hint of sadness in Cash’s final recordings, CS Nielsen, a man half his age, has perfectly captured that mood with an album that contains some of the vital ingredients of a fine country record. Along with a laudable recommendation, it is suggested that a listening of this album is followed up by reaching for a more positive record from your collection just to put everything back into perspective.